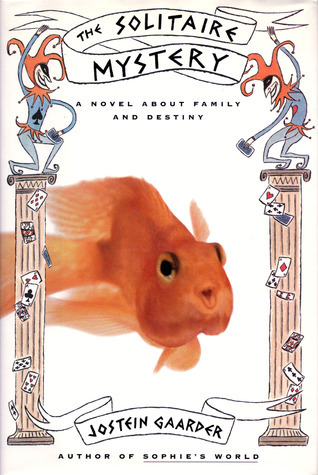 2015 Reading Challenge, Week 48 - A book by an author you love, but haven't read yet. Well, I fixed that now :) There is even a Colouring Competition for this book, if you'd like to give it a try, although it isn't open to Aussies like me, but people who lived in Canada and the USA. I enjoyed this novel, but wasn't sure I wanted to read it based on the blurb. The plot sounded fairly predictable, and I'm not crazy about love triangles which involve a girl and two brothers. But since Julie Klassen has written some of my favourite novels, I went for it anyway, and I'm glad I did. 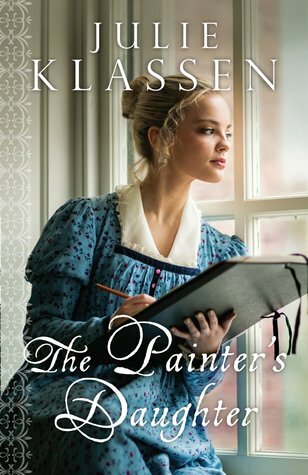 She brings the Regency Era to life, and I kept thinking about the Overtree family long after I finished. For other fans of hers, at first the two main men seem like a repeat performance of the brothers in an earlier novel, 'The Maid of Fairbourne Hall', yet I quickly developed stronger feelings for these two. Stephen is noble and trustworthy, like Nathaniel, but with the added distinction of being a war hero. There's an edge-of-your-seat combat scene or two, something I've never seen from Julie Klassen before (or Jane Austen, for that matter). It really brings home what these British soldiers who fought Napoleon's troops were up against. Stephen comes across as gruff at times, but it's a lovable, awkward sort of gruffness. He's thoughtful and courteous along with it, and there's always a sense that his softer, romantic side might be just about to bloom. As for Wesley, he was more than just another shallow and despicable Lewis. He is an 'if it feels good, do it' sort of guy, but is shown to have some scruples. A fair chunk of the story is told from his point of view, making it easier to understand how things appeared from his angle. Wesley's role left me pondering about a father's rights, then and now. Sophie was the one we were meant to have most sympathy for, but I felt regret for him too. If a similar situation occurred in the twenty-first century, would she get away with dictating what was going to happen to their baby without leaving him any options? There are plenty of stories about men who desert girls after getting them pregnant, so it's interesting to come across this one, where a young dad eventually seems willing to step up and accept the responsibility, but his hands are tied by social convention, making it too late. In a way, he might be getting his just desserts. Men like Wesley are often typecast as getting girls in positions where they are powerless to speak up and defend their parental rights, so in this book, the tables are turned. Anyway, if this story had a villain it would have to be him, so the fact that I found him quite likeable made it all the richer for me. I love the secondary characters and sub-plots too. The little mysteries kept my pages turning. How did Stephen get his facial scar? Who was Jenny? What grudge does the mysterious Miss Angela Blake from next door carry? And how about the old, retired nurse, Winnie, who lives on the top floor. Does she really possess second sight? What lies in store for the boys' younger sister, Kate, who is a real sweetie? I guess if it happened in our time, the train of events might have been completely different. Sophie's reputation and place in society wouldn't be on the line as acutely, so Stephen wouldn't necessarily feel such an urgent need to act on her behalf immediately. He might not even bother at all. Wesley would go around quoting YOLO (you only live once), but Sophie would probably be able to easily contact him by mobile phone or social media for something so important. As it is, the time period helps the course of events feel more inevitable, making it a great choice for anyone who enjoys stories about a heroine gradually warming up to a hero who proves to be the more suitable man than her first choice. I enjoy memoirs which are based around the author's love of a particular book. Especially when it happens to be one I've also loved for decades. Our favourite books do help shape our lives, and that's worth celebrating, as Lorilee Craker has done here. The adoption aspect is particularly meaningful to the author. She herself was adopted as a baby, and later, she and her husband adopted a baby girl from Korea to join their family of two boys. I started off expecting that many of the points wouldn't apply to me, but I was in for a surprise. It's well worth reading just to discover how many of us may carry aspects of the orphan heart without knowing it, whether that comes from being rejected, snubbed, shunned, left behind or failing to make a grade. That probably covers pretty much everyone at some time. She sums up episodes from Anne's life with funny, twenty-first century insights and parallels, and as the reader, I couldn't help remembering some of my own too. 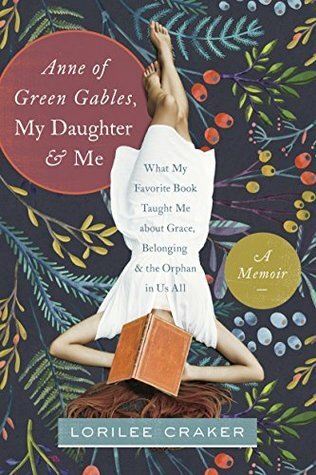 It's essentially a book for female readers, and we can probably all identify our own kindred spirit Diana Barrys, mean girl Josie Pyes, and if we're lucky, love-of-our-life Gilbert Blythes, through the years. We love Gilbert for the way he stayed devoted to Anne for so long, and how she realised that this 'boy next door' was more of a Prince Charming than the dark, handsome, mythical men she conjured up in her own head, or their look-alikes. It helps us to appreciate the men in our own lives with fresh eyes. And as for Josie Pye, Craker points out that these girls are everywhere, and don't rise to positions of influence without our permission.She gives tips on how to deal with them with grace and dignity. The true meaning of the word 'real' is delved into. When it comes to families, although many may assume this means your biological folk, this is not necessarily the case. The love felt for adoptive family members becomes biological anyway, as depth of feeling releases hormones and bonding chemicals. I love how although Lorilee met her birth mother and extended family, and got along well with them, she still honoured her first family in her heart, because of their shared love and lifetime of experiences. We've all seen how many adopted people decide to seek their biological parents as if it's a search for the holy grail. I took it as a nudge for those of us who have always had a birth mothers and fathers around, to not forget to honour and appreciate them in the same way. Having read many thick volumes for this year's challenge, I was happy to choose a short book this week. It interests me to discover why kids' books get placed on banned books lists. This one may seem completely innocuous, but apparently it was banned in Maoist China in 1965 for what they perceived as its portrayal of early Marxism. I can't really figure that one out. Dr Seuss, aka Theodor Geisel, was challenged by a friend to write a book with only 50 words, and this classic was the result. Limiting himself to such a small vocabulary, yet still ending up with a decent theme, was a really clever feat. As a kid, I was pretty sure I latched onto the moral Dr. Seuss intended us to. Turning up our noses and declaring we don't like something without even trying it is foolish behaviour with the potential to seriously limit our pleasurable experiences. Even at the age of four, I was already aware that lots of people behave like Sam's friend. I assumed that Sam-I-Am obviously knew the big, furry guy well enough to have formed a pretty accurate impression of his tastes, so he was doing him a favour by pressing the issue. This is made clear at the end when the big chap profusely thanks him for introducing a new taste sensation. 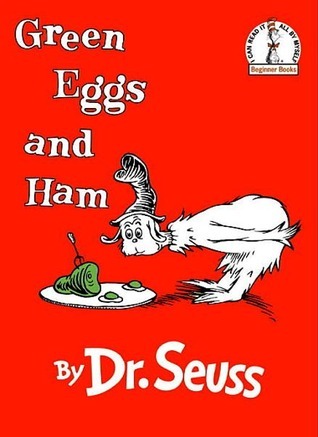 Would I try green eggs and ham myself? Possibly, since I've tried purple carrots, yellow watermelon and blood oranges. It is a strange experience, to reconcile a familiar flavour with an unexpected colour. But I would draw the line at black pudding, just because I don't fancy the thought of the ingredients that go into it, so we all have our limits. I guess many parents have used this little book to encourage their kids to eat up over the years, and will probably keep doing it for decades to come. "Asking questions could cost your life." Two years after the plane crash that killed her fiancé, Amy Silver has fallen for his best friend, artist Michael Stratton. When a local reporter claims the small aircraft may have been sabotaged, it reopens Amy's grief. Anonymous warnings and threats are Amy's only proof that the tragedy was deliberate, and she has nowhere to turn. 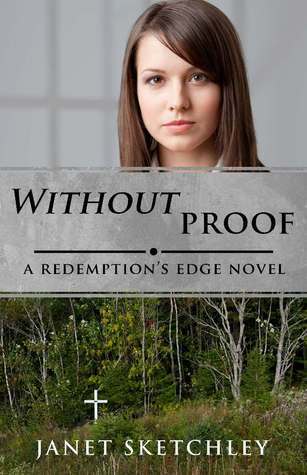 The authorities don't believe her, God is not an option, and Michael's protection is starting to feel like a cage. Michael's feisty great-aunt and the dead man's university-student sister are the other key players in this Christian romantic suspense set in Nova Scotia, Canada. This is the final novel in a trilogy of riveting suspense stories which can each also be read alone. Amy Silver is the cousin of Carol in Secrets and Lies and the formidable Harry in Heaven's Prey. She was involved in a horrific light plane crash in which she was seriously injured, and her pilot fiance killed. Amy comes across with a very likeable combination of strength and frailty, especially since she needs to walk with the aid of a cane after a couple of years of intense physiotherapy. Only now is she beginning to heal, but rumours are creeping in that sabotage may have been a factor in the plane crash. Initially tending to dismiss them, Amy is chilled by warnings from some anonymous contact to do just that. Now she's caught between the fear of what she may stir up if she asks further questions, and the strong desire to get to the bottom of her beloved Gilles' death, if there was foul play. At the same time, the biological father who previously wanted nothing to do with her has made contact, asking to meet. Having grown up with the stigma of knowing that she was the result of a casual fling, Amy grapples with dread, curiosity and resentment. There are some really strong threads about dealing with her personal sense of lack of worth, resulting from her birth history, and forgiveness. This involves not just her father but Gilles' family, who are treating her coldly and making her wonder if there's some aspect about his death she's unaware of. The twists and turns of the plot, and what lies hidden, really caught me by surprise, and there were several moments when my skin was prickling along with Amy's. You can't help wondering whether the loving family who have supported her back on her feet are quite as straightforward as they seem. There's Gilles' best friend Michael, the protective artist who Amy is secretly in love with, and his energetic Aunt Bay. There is also Gilles' sister, Uni student Emilie, who also has an obvious crush on Michael and wants Amy away. We may sometimes hear the question, 'Which books made the biggest impact in your life?' It's common knowledge that books have the potential to change lives, and we can probably each rattle off a list. But these novels take it a step further. They each feature a book that radically changes the life of the protagonist. However, they are more than a mere story within another story. The contents of these books turn out to have a magical or surreal quality which has a direct bearing on the life of the hero. Here are five I've come across within the last few years. If you wanted to get hold of the whole pile, it would make a fascinating, mystical read-athon. 1) The Book of Days by James L. Rubart. Psalm 139: 16 tells us that our days were all recorded in God's Book of Days before any of them came to be. The hero, Cameron, hears rumors about the physical existence of such a book, with past, present and future histories of every man and woman written in it. He sets off on a quest to find it. The missionary hero, Peter, sets off to share the contents of our Bible with strange beings on another planet. He has no idea how different it will be to them. The young heroine, Tamara, discovers a strange book which tells her events set to take place within the next few days, before they even happen. Handsome hero, Cohen Darcy, doesn't even like books, but circumstances make him custodian of an eerie book which is being written as he lives his life. The author, Julieann Wallace, is a fellow Australian author friend of mine. I had fun reading her book. My review is here. A young boy receives a mysterious, tiny book to read on his road trip. The more he gets stuck into it, the more he finds that it has bearing on his own life, even though it appears to written about long ago people. If anybody can think of any more stories about such remarkable books, please share them with me. 2015 Reading Challenge, Week 46 - A Book a friend recommended. 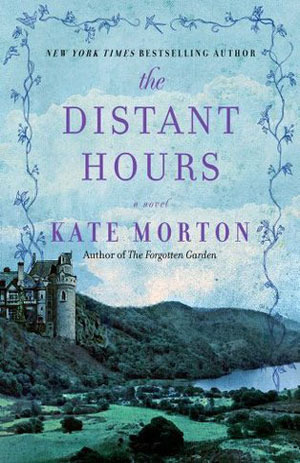 I have quite a few friends who recommend more and more of Kate Morton, but I remember one occasion in which somebody highly praised this particular book. Kate Morton reminds me of a younger, more up-to-date Daphne du Maurier, because she writes with that same sense of spooky nostalgia. In part of this story, she even used the line, 'Last night I dreamed I went to Milderhurst.' Doesn't that sound familiar? She's one of those authors I don't want to skim over the descriptions to cut to the chase, because her beautiful prose and imagery is such a pleasure to read. It doesn't matter when the story gets slow, because I'm still absorbing every word. In this novel, Edie, a young editor, longs to discover the tragic history of three elderly sisters who live alone in their family castle. She suspects her mother, Meredith, may have played some part in it, as she's always been tight lipped about the time she spent there as a war evacuee between 1939 and 1941. The backstory is told in several flashbacks to earlier times when the sisters' father, Raymond, an eccentric fiction author, was alive. There's something secretive about the way he composed his famous novel, not to mention the furtive way the sisters behave around each other. There are the twins, Persephone and Seraphina (Percy and Saffy). Percy is the decisive, controlling alpha twin with a strong protective love for her family and home. Saffy is the milder, gentler of the two, with her love of writing and beauty. They care for their younger half-sister Juniper, who supposedly went mad because her fiance deserted her for another woman. While the story was being told from others' points of view, I didn't like Juniper at all. Her family seemed to have indulged her into a spoiled brat. It's annoying when people behave as if they're exempt from pulling their weight, and leave a wake of destruction behind them, because 'that's just them.' However, when I got into her own head space at last, I changed my opinion of her. I liked young Meredith, a good representative for those who may come across as distant and remote, while the aloofness merely masks an extra sensitive heart. I didn't like Raymond, for reasons you'll see if you choose to read this book. I've noticed that in Kate Morton stories, readers often know even more than the characters by the end. The characters aren't in the position to look deeply into each others' most secret hearts, as we are. I'd have to give this book 5 stars for description and readability, but the ill-fated, gothic nature of this plot got me down a little, so I'd give it less for story line. I've now read two of Morton's novels, and the blurbs for several others. It's enough to make me think that if anyone binged on them one after another, the themes and plots might eventually blend into one. I know it's her brand, but I don't think I'll read any others for a while, at least until I'm in the mood for something that's bound to contain dark, heart-breaking family secrets, along with twenty-first century folk with a mind to get to the bottom of them. There's a brand new one, which will be on my list to read some time. But finally, I've just to say that I appreciated Juniper's youthful approach to her writing. Getting it all down on paper and out of her system was the main thing for her, regardless of whether or not others ever read it. My first response was, 'What a great attitude. Good on her,' and then I realised that millions of bloggers all over the world now follow her example, so perhaps Juniper was just years ahead of her time, and perhaps we all deserve a pat on the back. I am pleased to highlight the work of Cotopaxi in today's review. They have created an excellent range of outdoor and adventure products with the goal of helping to alleviate world poverty. Here is their mission statement. And here is a range of their backpacks, enabling us to carry our adventure novels around with the gear we need. They will be featuring a great range of bloggers' favorite adventure stories in days to come. Here are some of theirs, to get us in the mood for exploration and hitting the road. Please support them if you can. Hans Thomas and his father set out on a car trip through Europe, from Norway to Greece—the birthplace of philosophy—in search of Hans Thomas's mother, who left them many years earlier. On the way, Hans Thomas receives a mysterious miniature book—the fantastic memoir of a sailor shipwrecked in 1842 on a strange island where a deck of cards come to life. Hans Thomas is a young boy on a road trip across Europe with his Dad. Their ultimate aim is to track down his mother, who left them on a quest to 'find herself' when Hans Thomas was tiny. They've discovered she has a successful modelling career in Athens, so that's their destination. Dad has decided it's about time she came home, or at least talked things over. On the way, Hans Thomas acquires a small magnifying glass, and a little further on, a tiny book with minuscule writing given especially to him. No way will I spoil the plot by revealing the circumstances. It becomes his travel reading, and is soon clear to him that this is not just any book, but has direct bearing on his own life. It's also a story with similarities to onion layers or Babushka dolls. The person who wrote it is merely repeating what he was told by someone else, who got it from another person, and so on, back to Frode, a man who was shipwrecked in the nineteenth century and began making up lonely games with his deck of cards. The story-within-a-story turns out to be about readers like us, too. It's a colorful and sensual novel, full of descriptions of many wonderful things. I wish it was published as one of those large, hard-cover versions with vivid illustrations. I'd go straight out and buy one. Being unable to drive across Europe myself, it was magical sharing Hans Thomas and Dad's adventure. The 'real' section is just as much of a fairy tale as what the boy reads in the book. Especially since it involves snow capped German mountain peaks, gondola rides in Venice and a walk through the Acropolis in Greece. Along their way, the story delves into topics such as synchronicity, destiny and collective consciousness in a highly original way. How many other books would you come across with sentences such as, 'The dwarf stole the sticky-bun book!' That's just a teaser for you. Hans Thomas' Dad was one of my favorite characters, providing many of the quirks and pauses for reflection. For a start, he collects jokers, often throwing away the rest of the card deck like a banana peel. The joker theme became one which really stuck with me. Hans Thomas suspects that Dad has an affinity with the joker, considering himself a little fool who doesn't fit into any group, but is perhaps more far-sighted and clear-thinking than those who do. Another great aspect of the book is opening our eyes to the incredible world in which we live. Several characters come to realize that it is folly to rush around feeling bored, and seeking experiences with elusive supernatural beings such as ghosts, angels or Martians, when all along, we ourselves are miraculous examples of God's sublime creation. Perhaps my favorite two trains of thought are brought together when Hans Thomas' Dad says, 'If just one of these thousands of people experience life like a crazy adventure every single day, then he or she is a joker in a deck of cards.' I have a feeling that hanging out with Jostein Gaarder might be similar to spending time with Hans Thomas' Dad, and that he considers himself a joker too. I was really keen to start Patrick W. Carr's new series since I raced through his Staff and the Sword trilogy, being among my favourite reads of 2014. I've discovered the Darkwater Saga has the same complex, unique and carefully plotted new land I would have expected from him. There are some differences, though. We have an older, more experienced hero, for a start. Willet is more confident in the ways of the world than Errol was at the start of the other trilogy. He's already widely known for his combat skills, and is employed as a reeve by the king. As he tells his story in first person, it doesn't take long to realise that Willet, having fought in wars, suffers from PTSD and also the loss of a dream. He'd hoped to join the church, from which he is now barred owing to blood on his hands. He has his own personal terror. Several grisly murders occur on nights when he knows he's been sleepwalking, and returns to his room with blood on the hem of his robe. 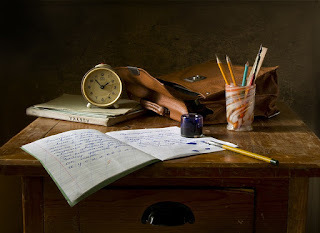 It takes a fair bit of brain power and mental connection from the reader at first, to latch onto the way this new world works, making it feel more like hard work than a good read, but once we've got it, then we're off. I'm hoping this review will also serve as a bit of a guide to make things easier than I found them to start off with. The religions are divided into four priestly orders or divisions, which roughly equate to Christian denominations. There is Servant, Vanguard, Absold and Merum, and Willet's personal leaning is the Merum order. Most significant to the plot is the way in which humans are able to inherit gifts - which come in six categories; beauty, craft, sum, parts, helps and devotion. They can be split into more specific attributes such as musician, artist etc. While we normally think of gifts as being randomly passed down through a person's genes, it's far more intentional in this world. Heads of families are able to decide who to pass their gifts on to, through laying on of hands. Knowing that too many splits dilutes a gift is also a consideration, and the more pure are regarded as more powerful and desirable. If somebody dies without formally handing on their gift, it is regarded as 'free' or up for grabs, so to speak. Although killing for a gift is a crime worthy of execution, murderers will still target those who are known to possess valuable, pure gifts, if they believe they can cover their tracks and get away with it. In this story, Willet becomes the recipient of an extremely rare gift believed by some to be extinct, that of dema or demere. Perhaps it happened because he was the only one around at the time, but the dying priest Elwin confers it on him as his last act. Willet is henceforth able to deduce the hidden thoughts, motives and histories of a person's heart through mere physical touch, often accidental. That's when the intrigue thickens. As he's also known to be investigating Elwin's death, ruthless crooks are out to kill him. 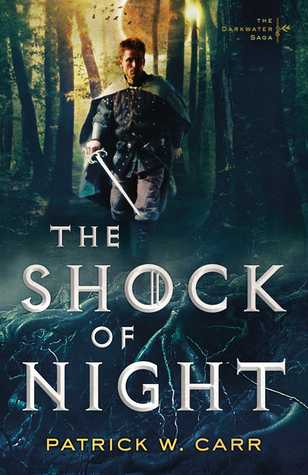 I'd recommend reading the novella 'By Divine Right' before getting stuck straight into 'The Shock of Night' as it introduces some of the background, making things clearer for us. You might have come across an article entitled, 'Literally now also means the same as figuratively'. As we were almost all taught in school, a literal meaning is the one which is actually true. But many modern people use the word to emphasise a statement and make their stories sound more impressive. (For example, 'I'm literally starving'.) Therefore, its informal meaning has now been added to English dictionaries, even though it means the opposite of the proper meaning it's held for centuries. So now I can say, 'My eyes literally popped out of my head when I read that article,' and nobody can say I'm wrong. I understand that the evolution of languages over time is inevitable. If it stayed static, we might all be talking like Chaucer. Still, I can't help thinking it a shame to witness a change practically under my nose, which has clearly happened because of the ignorance of the general populance. So if enough uneducated people don't know what they're talking about, our language has to make a major shift to accommodate them? It could only happen with English, never with Maths. When I said something like that to my kids, they thought my attitude was a bit pompous. Whether or not that's true, I wonder what's next in store for English speakers. I think I have a fair idea when I engage on social media and see people's use of the word 'humble.' I've noticed Facebook statuses like this over and over, not to mention published books. Now, in your mind, take that word 'humbled' and replace it with 'honoured' or 'proud' in each of those examples. To me, it seems to make much more sense that way. Surely 'humbled' in its truest sense, means belittled, taken down in size, diminished. I can understand somebody writing, 'I feel humbled when I look up at the stars and the vast Milky Way in our huge night sky.' King David actually did write something like that long ago. It makes perfect sense that he should be aware of his own relative puniness in comparison to the galaxy. But to state that you feel humbled because you won a contest is completely different. I believe it's another word we see used far more often in the opposite sense of what it really means. How did this happen? Maybe we've unconsciously decided that using it helps us appear like modest, self-effacing people. 'I don't want to come across as if I'm boasting, so if I throw in the word 'humble', everyone will see how unassuming I am.' It seems to be the fashionable term for those who want to do a bit of showing off without appearing that they are. In his book, The End of Me, Kyle Idleman has coined the term 'humblebrag' for what he notices people doing on social media. 'I'm so tired of men giving me wolf whistles' or 'I wish little Johnny would stop asking me questions I can't answer. After all, he isn't even four yet.' I wouldn't be surprised if any sentence beginning with, 'I was humbled...' may well fit into this category. I can imagine the dictionary some day including an extra definition of 'humble'. 1. Modest and aware of one's failings. 2. Low in rank or importance. 3. To be humiliated or made to apologise. 4. To be the recipient of recognition or honour. Used to express pride in a noteworthy achievement (informal). If you enjoy this blog post and can see my point, I'll be gratified and honoured, but if enough people tell me I'm talking a load of hogwash or having a silly rant, then I'll be humbled. Rather than choosing a book that takes place in a future year, I thought I'd go for this one instead, which fits the bill in a different way. This book is set in the future in that the hero gets a rare opportunity to receive advise from his future self. Whether or not it turns out to be a good thing, he does impact his future by returning to his past. Because getting what Brock wants most in the world will force him to give up the one thing he doesn't know how to let go of . . . and his greatest fear is it's already too late. 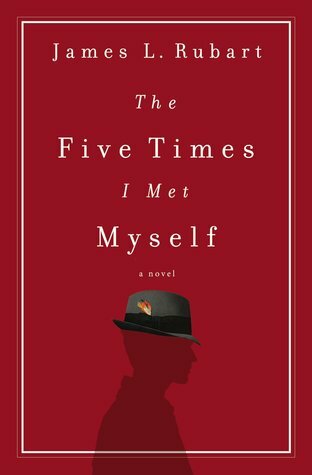 In this mind-bending novel, we not only get to witness the hero's life, but several alternative lives he might have lived, had he made different choices. I've often thought, 'If only I got the chance to meet my younger self, there's so much I'd tell her.' I assume many of us feel the same, which is why I was eager to get stuck into this story of Brock Matthews, who got the chance to meet his younger self several times. He assumed it would be a golden opportunity to fix a few things which went haywire. However, his excellent intentions turned out to make many aspects of his life worse than they were before he started meddling with time. At the start, Brock and his brother, Ron, are in charge of Black Fedora, the coffee company they inherited from their father. Brock is the 'face' of the company and works with the coffee blends, while Ron manages the business side and owns 51% of the shares. When a financial disaster looms, Brock wonders if there's any way he could have personally prevented it. 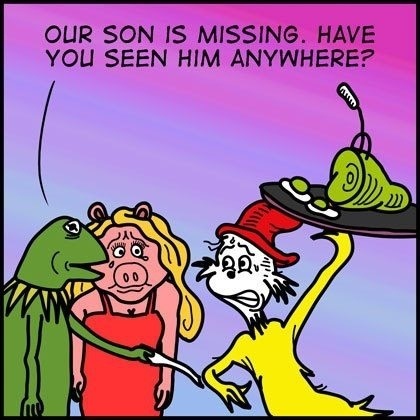 Meanwhile, his marriage is getting shaky, as his wife, Karissa, begins to mull over their years together with dissatisfaction, and their son, Tyson, may no longer be able to attend college. That's the backdrop that makes Brock wonder if he could possibly convince his former self to prevent the train wreck his life became. Are any of us really wise enough to assume we can advise our younger selves what to do? That was one of the big questions I came to ask myself. Brock was certain that at the age of 52, and with the advantage of hindsight, his 24-year-old self needed to listen to him. He was urgent in his mission to change his younger self's mind about the choices he faced. Yet after all that wheedling and convincing, the advice which seemed so wise, turned out to be questionable anyway. Only God has a God's eye view of any individual's life, no matter how often we've experienced life's hard knocks. Brock, to me, is proof that we never reach an age in which we know everything. I found it shocking, and quite scary when you think about it, that Brock's choices turned out to drastically affect not only his own life but those closest to him, especially Karissa, Tyson and Ron. We may prefer to think that each individual is ultimately responsible for himself or herself, regardless of the positive or negative influence of others, but this story shows more of a strong ripple effect. Without going as far as saying they were putty in Brock's hands, I think the influence he had over the shaping of several destinies ended up alarming him. It makes the reader think about the way we treat our own spouses, children and siblings. I love Brock's eventual epiphanies regarding the idols he'd set up in his life, especially his personal success in the business arena. There was nothing intrinsically wrong with Black Fedora, or striving to create a good product. It was Brock's lifelong attitude that got things all twisted; one which we could so easily buy into when it comes to our own lives. One scene I found most touching was the flashback to an event which occurred when he was only 11 years old. It set the scene for a lot of misunderstanding, but I can easily picture my own sons doing the exact same thing. Unexpected gruffness from adults can devastate kids, and it's good that this was brought out. The title could be misleading to some, but it's very apt. If you expect a fast-moving mystery, or something with a detective twist, this isn't really it. The truth turns out to be more creative, and maybe even more meaningful. 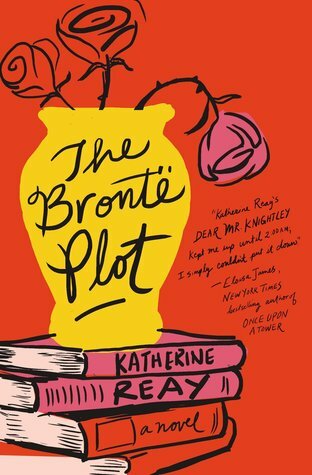 It simply dawns on the heroine, Lucy, that some of the patterns of her own life gel with the way the Bronte sisters crafted the plots of their novels, and that there are aspects of their stories she can keep in mind to go about fixing hers. The plot itself chugs along, but not always quickly. Lucy Alling works for antique dealer and interior designer, Sid McKenna. He's a great employer, but some of her own dishonest business habits have caught up with her. Aware of this, her estranged boyfriend's ailing grandmother still hires her as a private consultant and companion to travel to England, to hopefully help repair an old mistake of her own. I felt a fair bit of the story focuses on the intricacies of Lucy's profession to a depth that tends to halt the action at times. When they finally get to the Haworth section, a major chunk of the novel describes characters doing home design renos. I was anxious to move on to the Bronte Museum and the moors, but that designing part which seemed drawn out, turns out to have a major impact on Lucy's decision making. 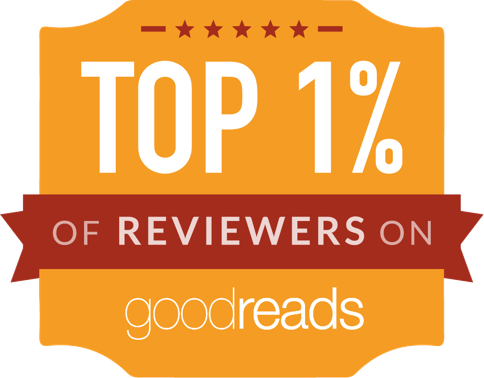 Maybe other readers will find it perfect after all. I just wanted to get back to the scenery and literary themes. Some conversation patches seemed a bit mundane, cheesy or repetitive. How often does Lucy have to ask Helen whether she thinks they should pack up and go home? I'm sure it would have happened like that, but for a novel, I think we get the idea with just a couple of mentions. For some time, I wasn't sure how to feel about Lucy. I thought if she was really remorseful about her dodgy actions, she'd stop doing anything remotely dishonest, including her fake acts to get seats at restaurants. But old habits die hard and she just hadn't got to her real turning point, which happens near the end. Nobody can deny the significance and impact her own personal discovery finally has on her. The proof of the pudding is whether or not people make changes, and Lucy definitely does at last. There were some interesting points to consider, such as the three generations of con-artists in her family, and the way each reasoned why their dishonest habits were not, in fact, so bad, and meant to make people happy rather than angry or sad. This gets characters and readers alike pondering where to draw the line when it comes to blurring fiction and reality. My favourite parts were definitely when Lucy and Helen were exploring literary landmarks and talking about the lives of famous authors. I went on a holiday like that myself, when I was a bit younger than Lucy, and it brought back wonderful memories. It felt as if I was re-visiting and catching up with modern changes. No more pigeons in Trafalgar Square! That's a bit sad. So altogether, although this wasn't quite the book I expected, it wasn't a bad book at all. I definitely learned a bit about fabrics and curios, although that hadn't been my intention. The traditional view put forward of a perfect hero may be a buff and rugged guy with superpowers, excessive strength or athleticism, or determination to avenge a vendetta. Yet they've never been the sorts of heroes I prefer. I think true heroism is more low-key and lovable by far. It can often call for simple speech or actions, which may be harder to pull off than all the brute strength in the world. The attitudes of the true hero often involve an element of self-effacement, resulting from a storehouse of deep love for others, which combine to make the hero willing to sacrifice anything, even his own life on some occasions. 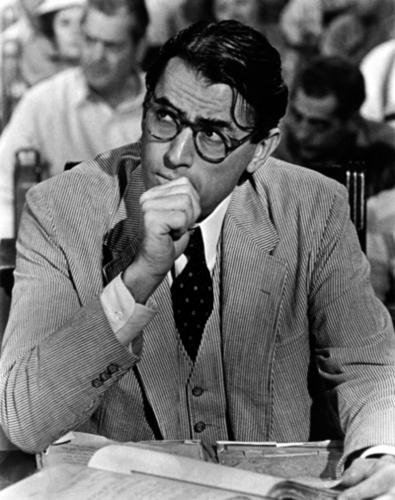 The six characters I've chosen for examples are mostly from well-known and celebrated stories. Even though they all happen to be male, I know several awesome female characters also fit the bill. I might make a separate blog post for them some time. But for now, here are six true male heroes. Warning - Even though most of these are well known stories which I'd assume most of us are familiar with, my reflections are riddled with spoilers. If you haven't read them and would like to, you might prefer to skim over what comes below. Soon after Matthew Cuthbert's death, he quietly relinquished the offer he'd received to teach at Avonlea School, choosing White Sands instead, which was further away and less convenient. His only reason was so that Anne could teach at the Avonlea School instead, which would enable her to stay close to Marilla in their time of need. He made no fanfares or announcements. In fact, he assumed that since her opinion of him had always been rock bottom, she might reject the offer if she knew. Anne ended up finding out through the grapevine, and Gilbert's generous gesture inspired her to make peace with him, after years of animosity. Who could forget the way his two children found out their daddy had once been the best shot in Maycomb County? He simply killed a dangerous, rabid dog, when the sheriff insisted he was the best person to do it. In the preceding years, he'd never even mentioned his impressive skill, and that made a greater impression on Jem and Scout than if he had. It's what we'd come to expect from the lawyer who would agree to stand for the truth and defend a man whose case was doomed from the start. The young hero from 'The Horse and his Boy' instinctively tried to protect the heroine, Aravis, who had always treated him with a haughty attitude. Mistaking Aslan for a fierce, wild lion who was about to tear her to pieces, Shasta slid from his horse's back to shoo him away, although to all appearances, he didn't have a chance. His brave action helped change Aravis' opinion of him. He's the self-proclaimed devil's disciple, from the play by George Bernard Shaw. Despite his rebellious talk, when it came to laying his own life on the line to protect another, he didn't hesitate. He believed that the other man had a greater reason to live than himself. The 'boy who lived' pulled off many feats of physical mastery and daring, often just scraping through, but I've no doubt his finest moment was right at the end of The Deathly Hallows, when it dawned on him that he was the horcrux Voldemort never meant to make. 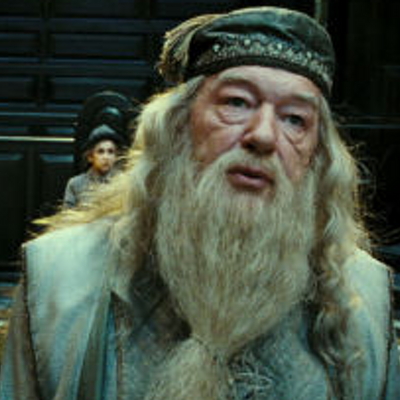 Harry reached the conclusion that all of his previous adventures had been leading to this moment, and he had no other choice but to face Voldemort, knowing that only his own death would defeat the evil villain. As soon as the realization hit him, he didn't hesitate. You don't get much more heroic than that! So there are just six of my picks. I've read several more, which I'm sure you have too. If you'd like to suggest any others we might like to read, please do so in the comments. 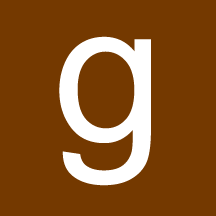 2015 Reading Challenge, Week 44 - A Book with a number in the title. I was delighted to receive a copy of this book in the post, all the way from the USA. Its prequel, Sensible Shoes, was one of my favourite reads for 2014, and I knew this one would be just as good. The first book in this series, Sensible Shoes, was one of my favourite books of 2014, and this picks up where that one left off. The four main characters are so different from each other, once again I was amazed by how easy it was to relate to each one of them. I especially like the tension between how they think they should behave and whether it's the response their heart tells them is right. These are definitely Christian novels, with God's subtle workings in the hearts of individuals at their own heart. Christians are often counselled to put others' preferences ahead of their own, and Meg is a natural at that, but how is it meant to play out when you're chafing inside? When you know the other person will resent you for speaking up, but you can't sweep aside your point of view this time, especially when it's a person you care deeply for? Christians are told that we should be Jesus' hands and feet, which would seem especially the case for a pastor like Hannah, but when is a line crossed into self-appointing yourself as God's rep or deputy? I like her revelation, 'My words declared Jesus was Lord but my life declared I was.' And also her paradigm shift that she'd been putting all of her confidence into her ability to hear from God, instead of his ability to speak to her in a way she'd recognise and understand. What a big potential stress relief for many of us. It's great to see Mara, the under-appreciated mother with her history of rejection, learn to keep soaking in the truth that no matter whether or not her outer experiences reflect it, she is beloved! We are all beloved. What a simple, but revolutionary truth to remember each morning. How great is her relationship with her son, Jeremy! For a little while, I was concerned that she was showing favouritism, but no, her interactions with Kevin in this story show that's not the case. I like the chance to probe the deeper questions these ladies' stories raise. They may even be different for each of us. For me, one of them was 'to what extent should we accept our knee-jerk reactions as part of our natural make-up, and to what extent should we desire to temper and change them?' It would seem the experiences of the four main characters bear out my own; it's a bit of both. Even though mentally beating ourselves up for our perceived shortcomings does no good whatsoever, if an ingrained reaction is holding us back, it's possible, with God's help, to work on overlaying it with new attitudes. While some of the particular episodes in this story are neatly wrapped up, it's easy to see that the wider issues are still unfolding, making me hope for a third book. 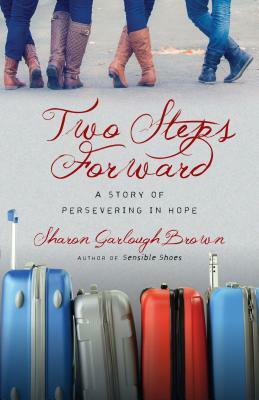 Thanks to the author, and the publisher, InterVarsity Press, for providing a review copy.